The Old Rectory is a quintessential Cotswolds house dating back to the 16th century – with a very 21st-century attraction that's sure to turn heads, as Penny Churchill explains. 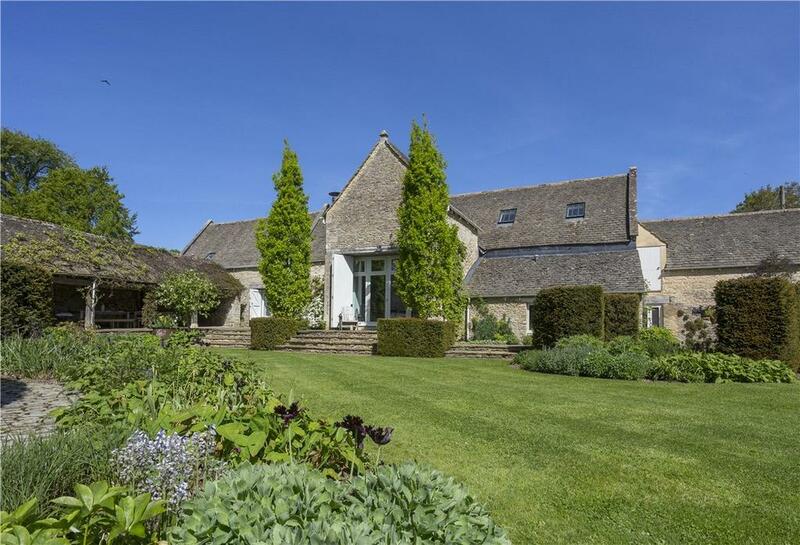 Centuries of history sit lightly on the broad shoulders of Grade II*-listed The Old Rectory at Westwell, Oxfordshire – a quintessential Cotswold-stone village, 2½ miles south-west of Burford, which, as its name suggests, once boasted the most westerly well in the county. The imposing former rectory, built on the site of an earlier parsonage in about 1700, with 19th- and 20th-century additions, sits in an idyllic position at the top of the village, overlooking an enchanting valley and its own four acres of tree-ringed gardens and grounds. 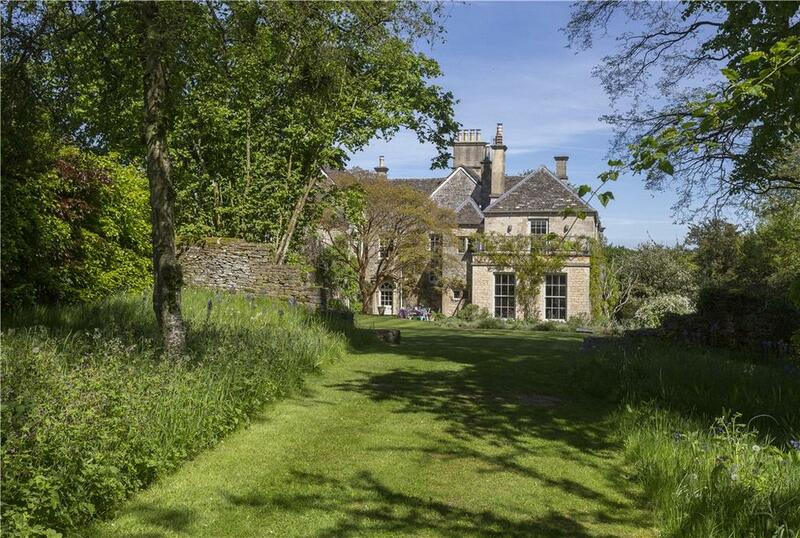 Currently for sale through Knight Frank at a guide price of £5.85 million, The Old Rectory was built during its ownership by Christ Church, Oxford, which, in 1546, bought Westwell Manor and the living of the ancient village church of St Mary, following the dissolution of the monasteries by Henry VIII. The college established a thriving village on the site, but failed to properly maintain its Westwell holdings and, by 1912, both the manor and the rectory had been sadly neglected. Thankfully, those days are long gone. The manor house was sold to Sir Alfred Sothern Holland, created 1st Baronet Holland of Westwell in 1917 in recognition of his services as Trade Commissioner to South Africa and as Director-General of Inspection of Munitions in 1916. 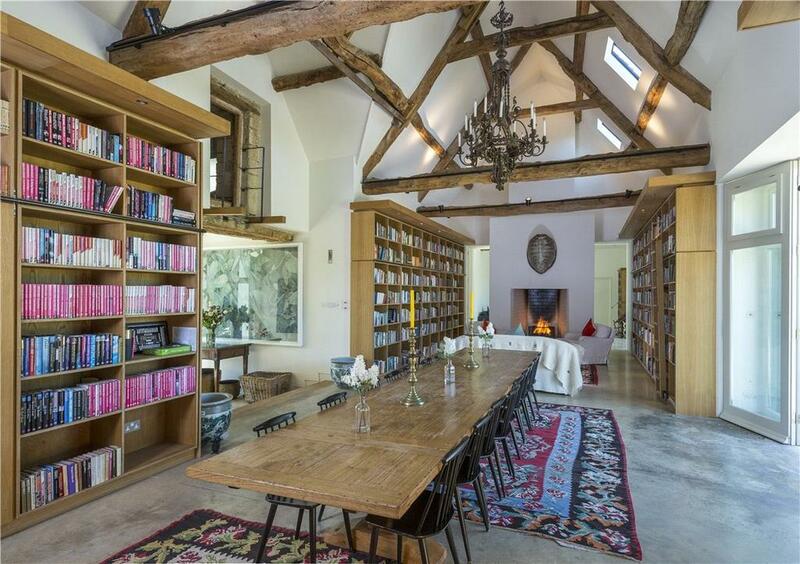 He had the dilapidated manor house restored, using a merry band of skilled local craftsmen. 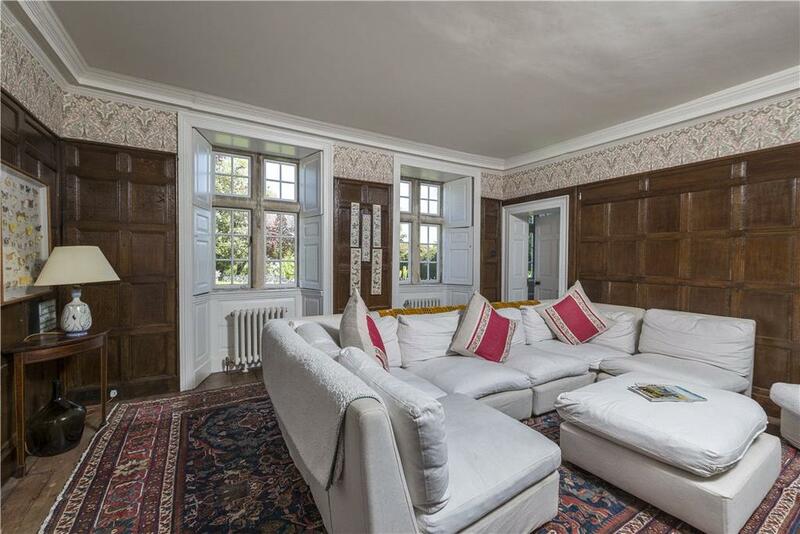 The rectory was bought and renovated for Capt the Hon Bertram Freeman-Mitford, later 3rd Lord Redesdale, who, in 1958, inherited the title from his brother – the famously mercurial father of the six Mitford sisters, who lived at nearby Swinbrook – only to die, himself, four years later. Many a memorable weekend has been enjoyed by the friends and family of the current owners of The Old Rectory, who have refurbished, remodelled and reconfigured the house, grounds and ancillary buildings with serious entertaining in mind. 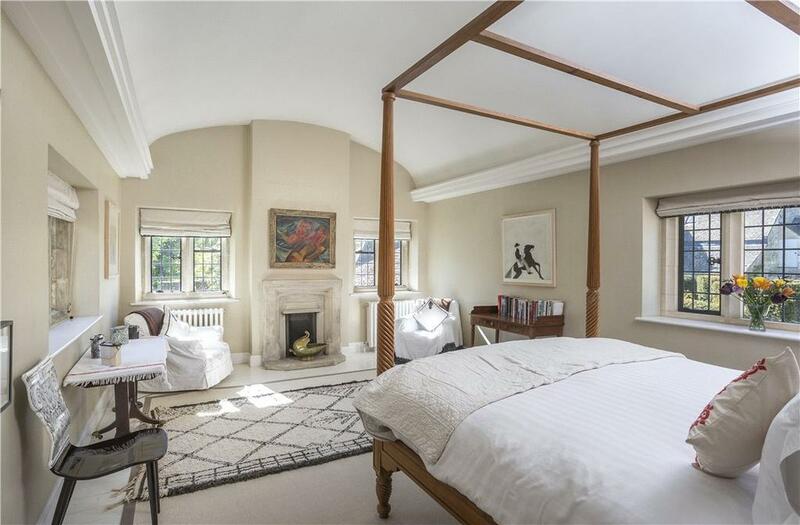 Room to manoeuvre is clearly not an issue, with 5,246sq ft of living space in the main house, including four main reception rooms, a large kitchen/breakfast room, eight bedrooms and six bathrooms, plus a 1,022sq ft annexe. It comes with a self-contained, one-bedroom cottage, a storage barn with potential for conversion to a second cottage and, the property’s pièce de résistance, a massive, 3,318sq ft entertaining barn. It’s a huge space which can be configured to seat up to 36 guests around the main table – and it also houses a library and a games room. 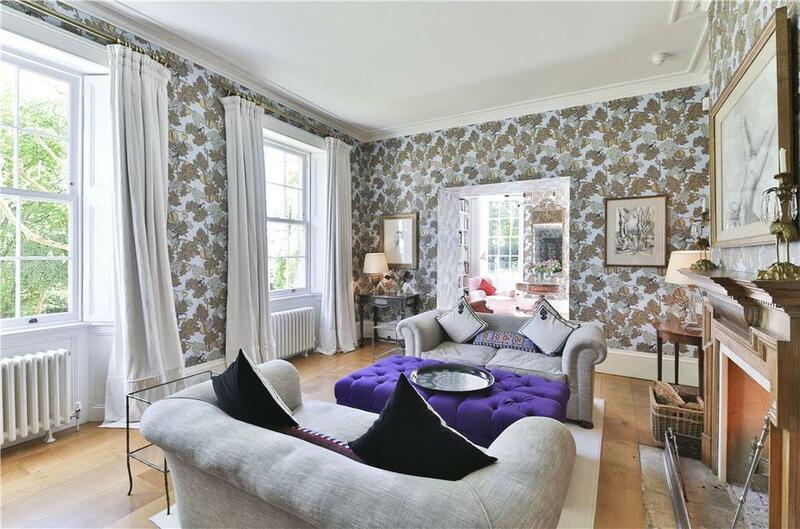 Of course, there’s much more to this beautifully maintained house than style, statistics and big-name designers. 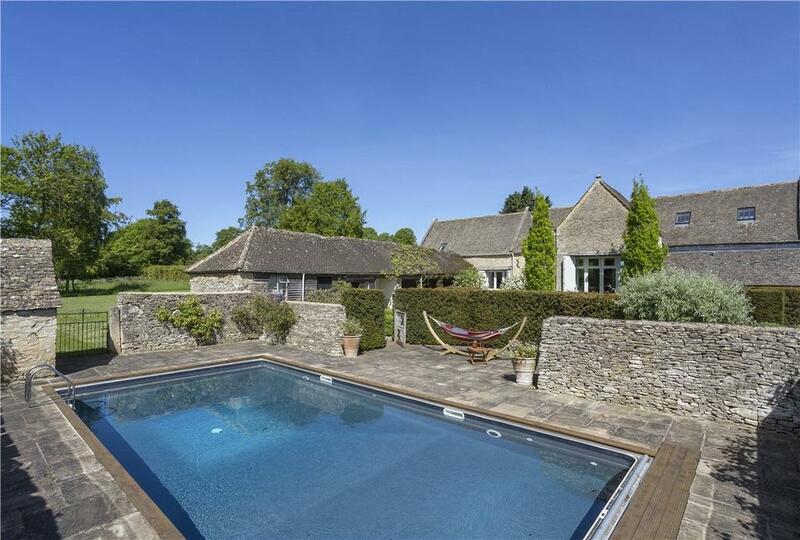 The outdoor brigade can enjoy quiet moments in the delightful formal, informal or walled gardens or in the less structured woodland gardens, where the owners have retained the original Cotswold-stone walls and dreamy enclaves that give this area its unique charm.  On the other hand, weekenders with energy to burn can work it off on the tennis court, in the swimming pool or by swinging a bat or a croquet mallet on the manicured ball-playing lawn. 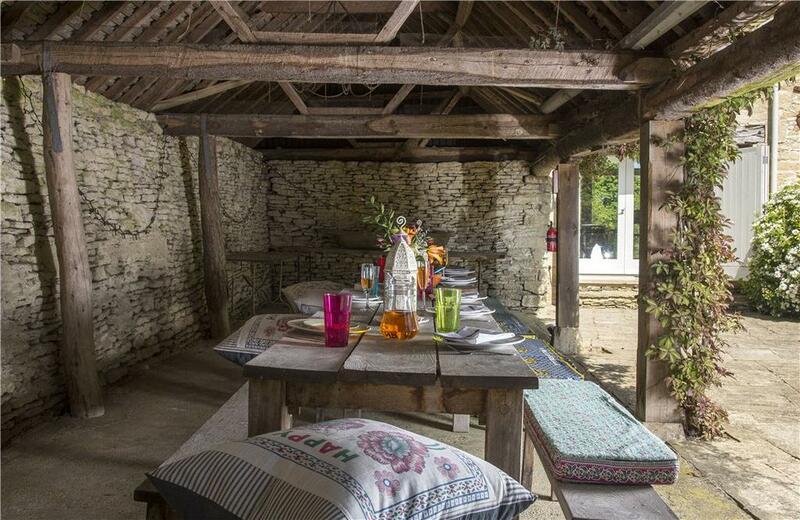 The grounds also include a number of discreet dining areas, including a paved sunken patio to the rear of the house and a covered dining area alongside the barn. 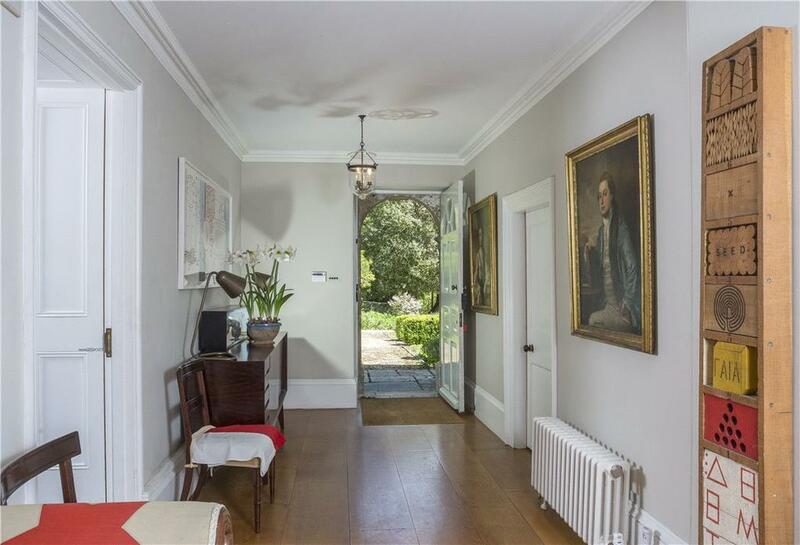 The Old Rectory is for sale via Knight Frank – see more details and pictures.